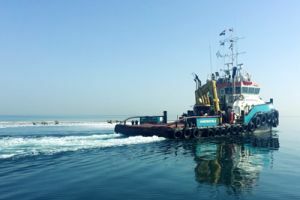 In summer 2017 Acta Marine was awarded a pipeline towage and installation contract in Abu Dhabi. After finalising a long term charter in the oilfields of Abu Dhabi, Acta Marine’s DMS Globe was contracted to assist a construction project in Qatar. 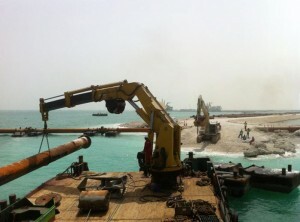 This involved the construction of a private artificial island development. DMS Globe’s effectiveness in shallow water conditions played an important role in the project, ensuring its smooth and efficient completion. 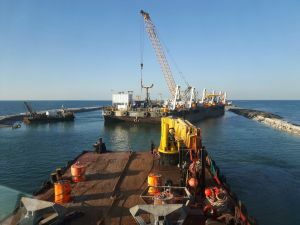 The project New Port at Qatar consisted of the dredging of an access channel and the reclamation of land for a naval base. The Lida and the Coastal Rambler were deployed for the Upper Zakum Project, in which they executed various operations.